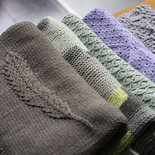 This blanket is knitted as a simple rectangle, with the cast-on edge being one short side and the cast-off edge being the second. 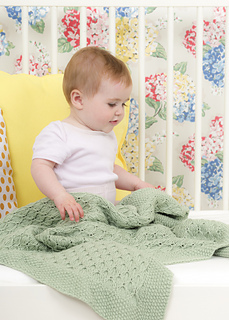 A moss stitch border surrounds a slipped stitch pattern that creates a raised diamond effect. Slipped sts on each end of the rows create neat long edges.